Plans of Parc des Princes expansion are not new, they surfaced almost instantly after club takeover by Qatari QSI. The desired size would be 60,000 or even more, but with extreme constraints (roof is part of protected monument, while the Peripheral Boulevard runs under the stadium) going beyond that number seems nearly impossible. Already now, ahead of Euro 2016, the stadium received a thorough lifting of available amenities, particularly the VIP and hospitality areas. Corporate seats were added in high numbers, while new facilities like the Skybar were opened. Altogether the project cost some € 75 million. The investment is only beginning changes, because under new ownership PSG have signed a 30-year lease for the stadium and hope to upgrade it more as time goes by. 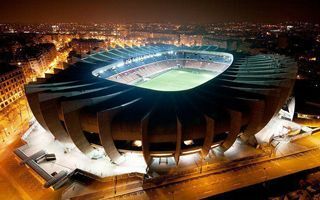 However, previous mayor of Paris Bertrand Delanoe considered the expansion to 60,000 capacity too challenging, even despite acceptance of such move by original stadium architect. That’s why a recent statement by new mayor Anne Hidalgo sounds very optimistically for PSG. "I think it's indispensable," she explained. "The atmosphere in the Parc des Princes is great - it's like a cauldron, but it needs to be made bigger. The scale of the Parc des Princes is too restricted for big European games. "We need a 60,000 capacity Parc, and we'll still be below the Camp Nou in Barcelona or the Santiago Bernabeu in Madrid."